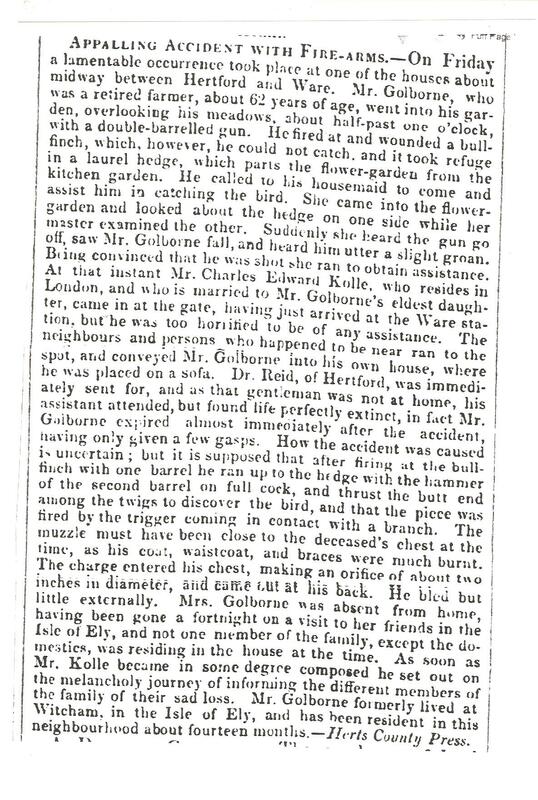 I thought you might like to know about a fatal accident that took place between Hertford and Ware in 1847. 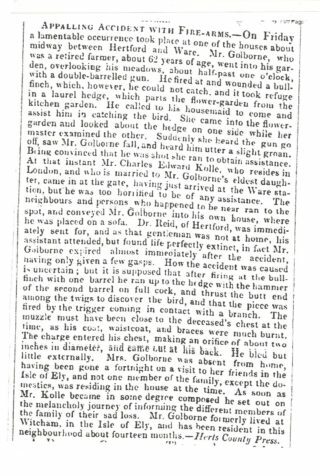 The unfortunate man was James Golborne who was the son of the man who helped drain the Fens at the end of the 18th century. The Golbornes can be found in The Dictionary of Civil Engineers. His son -in- law, mentioned in the report, was the brother of Henry William Kolle-best friend of Charles Dickens. Their letters are well documented and can be found on the net. This page was added on 06/01/2012.